216. Where Are They Now? 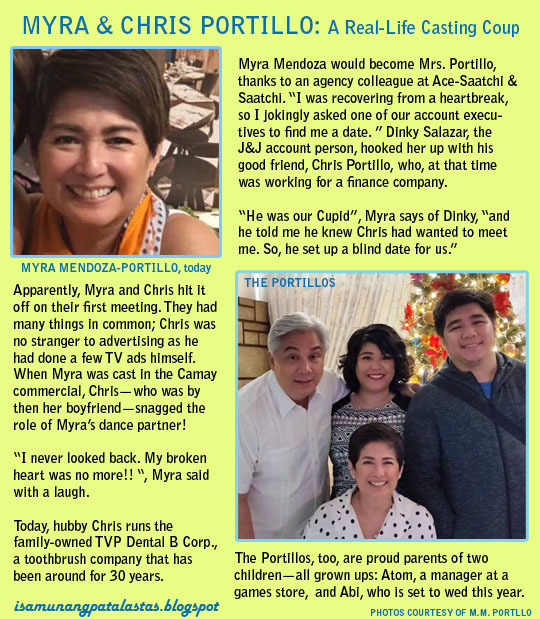 : MYRA MENDOZA: The Face of Close-Up, Camay, Oil of Olay---and JINGLE Music Magazine! 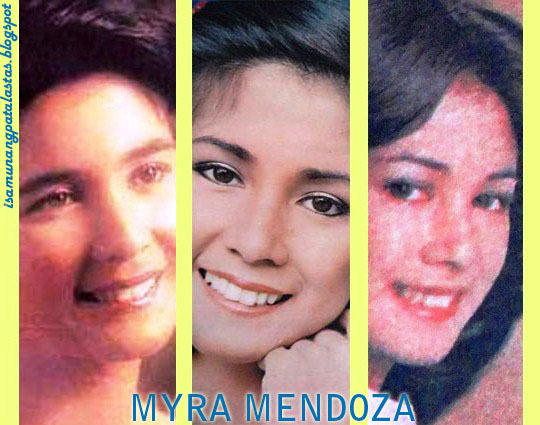 One of the most refreshing faces in the modeling scene in the mid-70s to the 80s, was teen beauty MYRA MENDOZA. The winsome high schooler from St. Paul was but a teen when she started modeling for commercials; she enjoyed the experience so much and never looked back—bagging major contracts for Close-Up toothpaste, Camay Soap, US Shampoo and Clearasil in her heyday. She was in high school when she performed in a dance number for an event sponsored by the popular 1970s music magazine, JINGLE Chordbook. She met the owner Gilbert Guillermo, whom she credits as her “discoverer”. Pretty soon, she was appearing on the pages of the widely-read Jingle magazine, along with song lyrics set with guitar chords. Her posed pictures were just small insets—strumming a guitar, reading the magazine, candid shots. 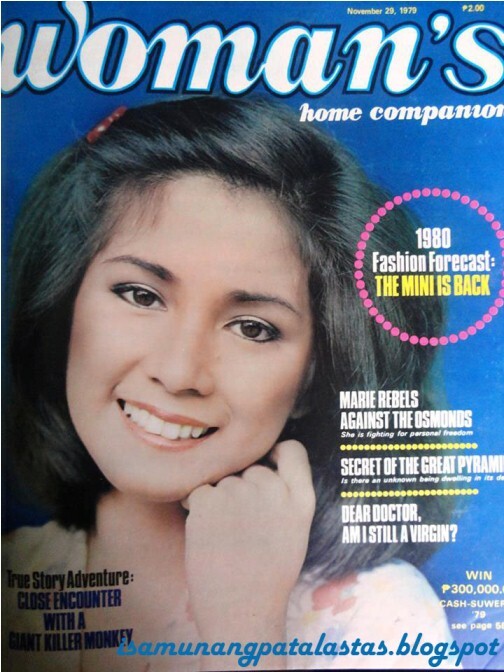 But the readers were drawn to her good looks—and she would become the unofficial sweetheart of the popular youth-oriented music magazine. Next thing Myra knew, she was being besieged by talent agents and casters from major ad agencies. She recalls: “In those days , casting was not done as efficiently and professionally as today. I would just get phone calls from agents or ad agencies asking if I was available to shoot. Simple as that. No try outs, no vtr’s (videotaped auditions). 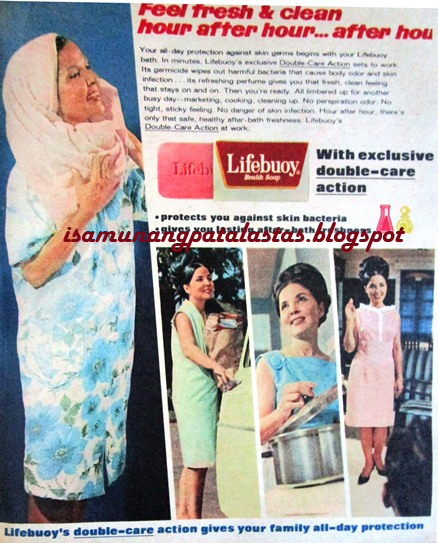 Her earliest ad was a TV commercial for Clearasil, directed by legendary commercial director Jun Urbano. In 1979, she also did an ad for US Shampoo with conditioner, targetted at teens and young adults. 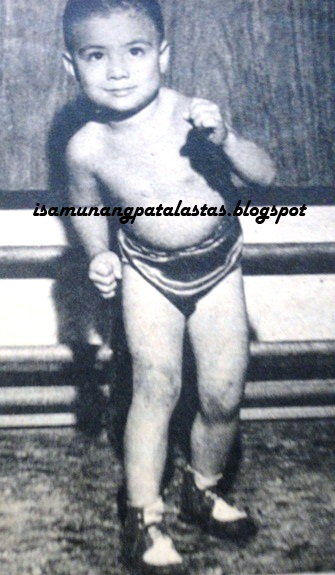 This turned out to be her busiest year, as she also was featured in the popular Chiclets’ “Tsikletin Mo, Baby” TVC. Myra was also scouted by local women’s, and she became a cover girl, shot by the leading photographers of that time. She was still finishing her communications course when she was cast to appear in one of the most sought after casting roles in the industry—that of being a Close-Up girl for Close-Up Toothpaste, then a very popular youth brand. For many of the lucky Close-up talents, the slick, well-produced commercials were springboard for TV and movie stardom. “The Close-Up ad was fun to do!” , Myra reminisced. Though she could no longer the name of her male partner in the (“I think his last name is Rodriguez”), she found the experience of shooting her commercial very easy and enjoyable. “Close-Up was doing a campaign consisting of a series of ads. So all the lead talents --some of them at least--came out in each other’s TVCs as background talents. Parang barkada!”. 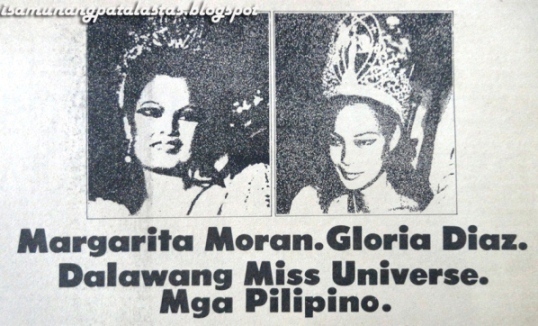 Incidentally, Loren Legarda, the future senator, was also part of that Close-Up batch. 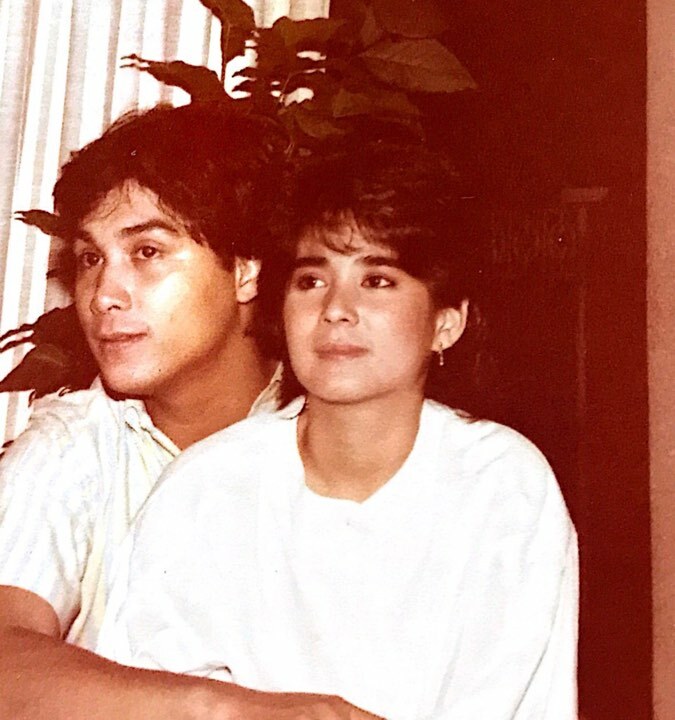 Years later, when Myra was working for ABS-CBN, she would bump into Legarda who by then, was the anchor of the late night news, “The World Tonight”. “ And she still remembered me long after our Close-Up years were over!”, Myra enthused. With a diploma finally in hand, Myra landed a job with one of the most prestigious multinational advertising agency in the Philippines—Ace-Compton Advertising (later, Ace-Saatchi & Saatchi)—as a talent caster, of all positions!! That time, Ace-Compton had the best in-house talent casting department in the industry, complete with a studio and VTR machines for go-sees and auditions. She was casting for such blue-chip clients like Procter & Gamble, Johnson & Johnson, and Filipro-Nestle, Inc. Her stint with Ace-Saatchi & Saatchi was memorable for 2 reasons. It was with the agency that she was picked to do the Camay “Guess Who’s 16” TV commercial, thus joining the elite circle of Camay Girls. She also became the face of Oil of Olay when it was introduced by P&G in the Philippines. 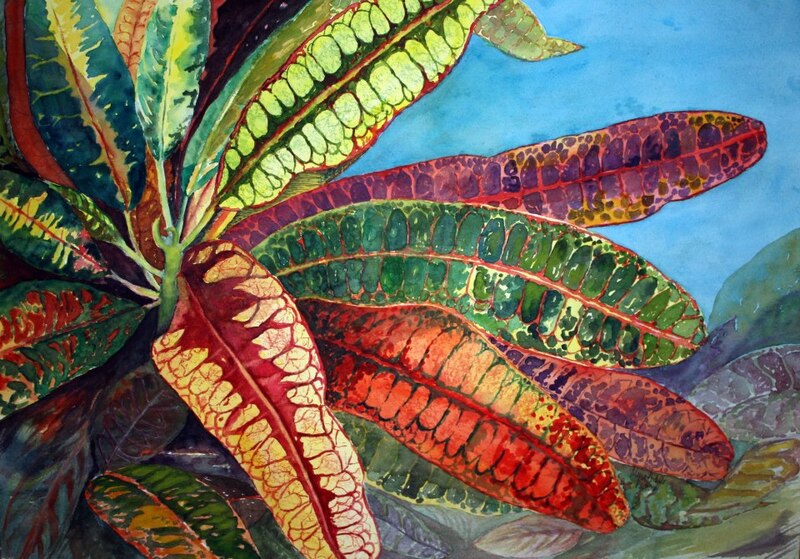 Looking for other creative challenges, Myra set her sight on commercial production. When Advertising & Marketing Associates had an opening, she resigned from Ace to try broadcast production. She realized that she was not cut out to be a producer, so she made a drastic move to the hotel industry, by being a banquet sales manager for Manila Hotel. But the lure of advertising, the world in which she grew up in, proved irresistible after awhile. Lintas top honcho Wally Reyes called her up and invited her to set up the casting department of the growing agency. She took up the offer, organized the agency’s talent department and stayed on for 4 years. Myra would move back to Ace-Saatchi & Saatchi for a brief interlude. Her last corporate job was with the Sales Department of ABS-CBN. After ten years, she resigned in 2002 due to health issues, as she needed time to recuperate from a major surgery. 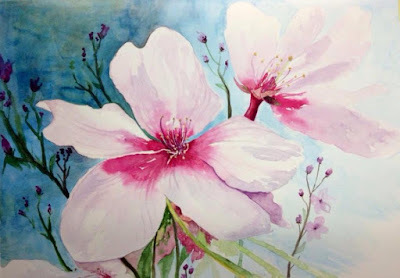 WATERCOLOR ART OF MYRA, A SELF-TAUGHT ARTIST. COME A LITTLE CLOSER BABY, SMILE, FOR ME. Myra Mendoza and boyfriend, Chris Portillo in their younger days. True to her calling, Myra Mendoza remained an honest-to-goodness model all her life. With her collective life experience and achievements, you could say that she is a model homemaker, mother, and wife today! Where in the world is Myra? 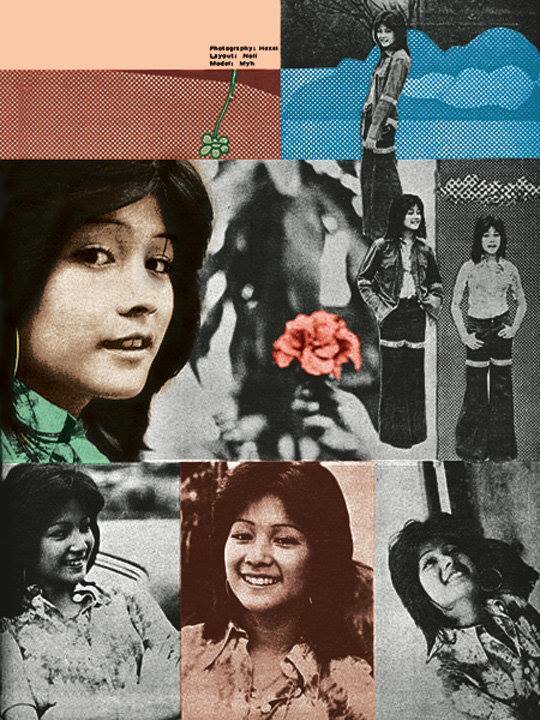 Photo collage of Myra as Jingle Music Magazine model, Nonoy Bonzon, posted on Jingle Music Magazine FB page. ZEST-O ORANGE JUICE DRINK, 1990 Print Ad. 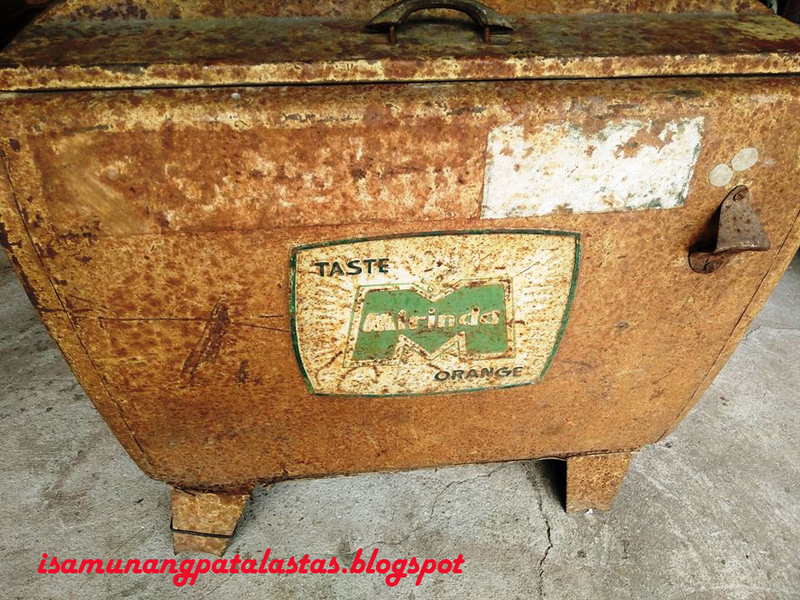 The country’s best selling juice drink was conceived by self-made magnate Mr. Alfred M. Yao, who rose from humble beginnings to become the founder of one of the most successful homegrown business in the country today. Mr. Yao took over the care of his family at age 12, when his father died. Five years later, the young entrepreneur who did not even finish high school, took a bank loan of Php3,000 to put up a printing press, which proved to be very viable. While on a 1979 business tour in Europe, he chanced upon a new packaging technique introduced by French inventor, Louis Doyen, back in 1962. He introduced a specially-shaped plastic bag that can be aseptically filled with liquid products, that could stand on its own. Called “doypack”, it was significantly cheaper than traditional carton packaging. To test the new packaging, the rising businessman mixed juices in his kitchen and packaged them in doypacks. He was so satisfied with the results that in 1981, he decided to shift his attention to creating a beverage company known as SEMEXCO Marketing Corporation, with ZEST-O Orange Juice Drink as its lead product. The jucie drink in its innovative foil pack with a plastic straw was launched that same year. ZEST-O was enthusiastically received by the market, as it was so affordably priced, and had a really refreshing orange flavor that can be cooled easily in its own foil pack. It wa handy, could be disposed easily, and provided more value for one’s money. 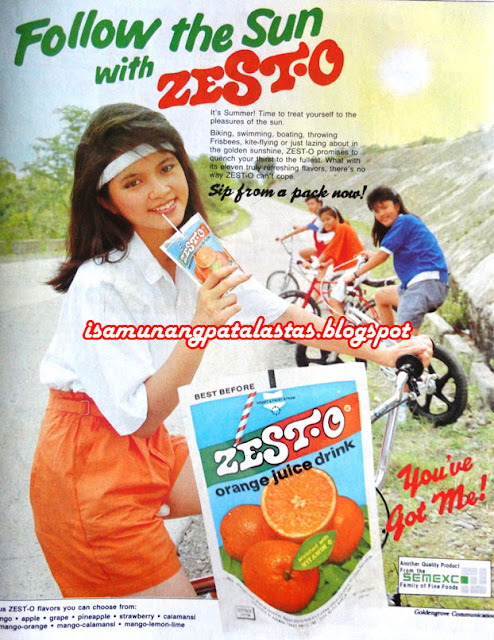 ZEST-O soon became widely available nationwide, and overtook leading brands to emerge as the no.1 juice drink in less than a decade—replacing more expensive sodas and juices during parties, meriendas, and funeral wakes! More new flavors under the ZEST-O name were introduced in the ensuing years: Guyabano, Mango, Grape, Pineapple, Calamansi, Apple, Strawberry. SUN-GLO, another SEMEXCO juice brand. 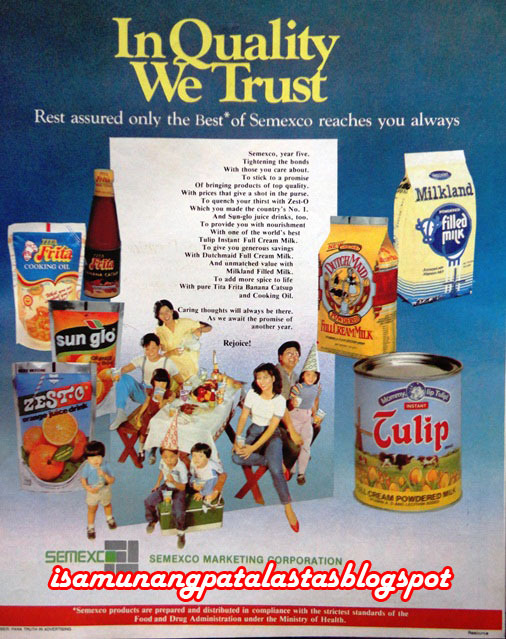 Using the same modern doypack technology, SEMEXCO branched out into more jucie brands (Sun-Glo), milk ( Dutch Maid, Milkland), along with other traditional canned and bottled products (Tulip, Tita Frita). The ZEST-O brand, however, built more positive and enduring equities that it was adapted eventually as the name of the corporation. When the company forayed into other product lines and business, the name ZEST-O was used, as in the case of its ZEST-O chocolate drink. In 2008, Mr. Yao ventured into aviation and launched Zest Airways which, like his famous juice drink, was known for low-cost fares. Integrated with Air Asia, it became Air Asia Zest in 2016. ZEST-O juice drinks continue to dominate the juice market today, even with the additional taxes levied on sugared beverages in 2015, that threatened to close down some plants. In picnics, memorial services, family reunions, company and school parties, chances are, you will find a packs of ZEST-O being passed around, proof that the humble drink has become a part of our everyday life. Zest-O Juice Drink Commercial The Best 2006.
https://www.youtube.com/watch?v=SrDn5-Lvi8c, posted by Zest-O Videos, Oct. 18, 2015. Zest-O 35 Years TVC, https://www.youtube.com/watch?v=7lvfGBlKtT4, posted by Zest-O Videos, Oct. 18, 2015. Success Story of Alfredo Yao: The Juice King: http://primer.com.ph/business/2017/06/19/success-story-of-alfredo-yao-the-juice-king/, Philippine Primer, The expats Guide to the Philippine Lifestyle, 19 June 2017. 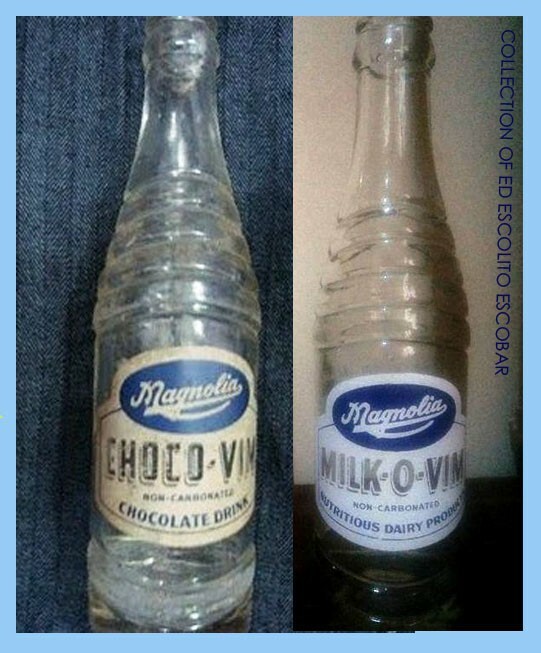 To the baby boomers growing up in the late 50s and 60s, a bottle of CHOCO-VIM was a delicious chocolate drink that was always a welcome treat. 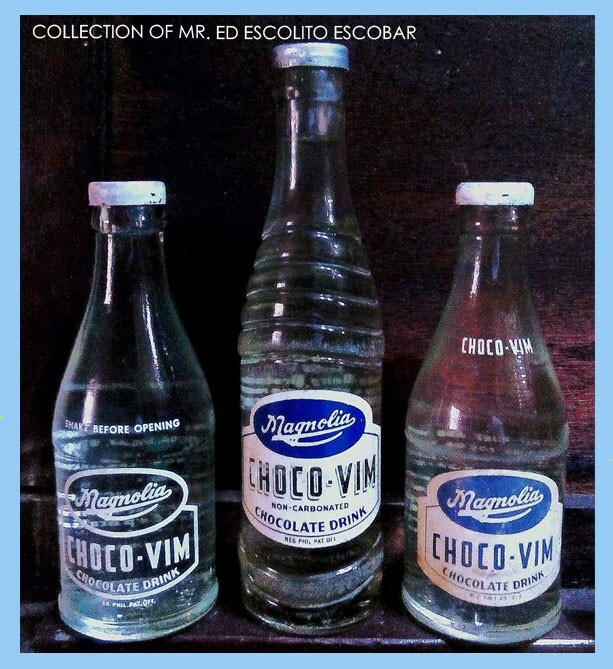 Introduced in 1957, CHOCO-VIM was manufactured by Magnolia Dairy Products of the San Miguel Brewery. 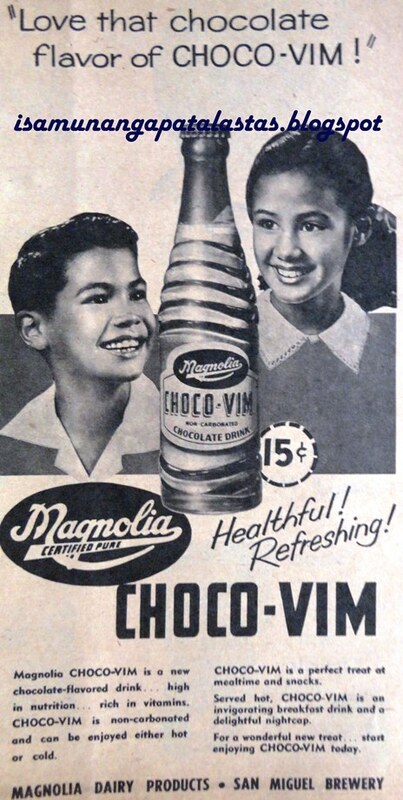 At only 15 centavos per bottle, CHOCO-VIM could be served hot or cold, and the energizing, chocolate flavored-drink became an instant favorite in no time all. 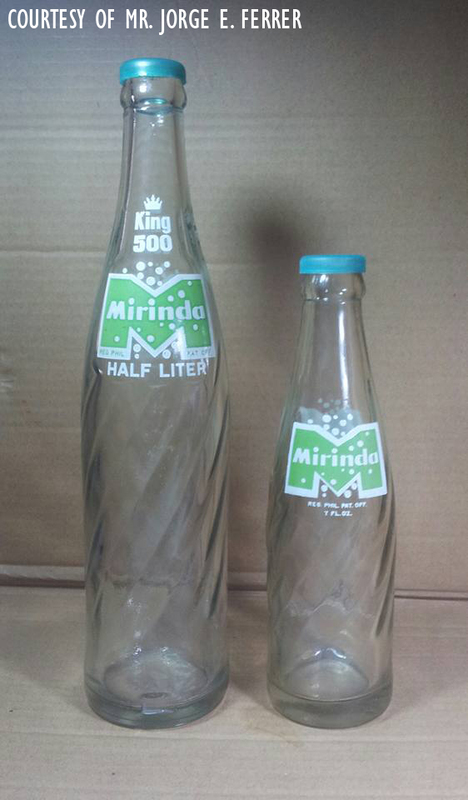 It was first sold in tall, softdrink-like bottles, but after a while, shifted to a shorter, squatter bottles. Many though, preferred to drink the healthful drink when it is served freezing cold. When kept in the ref, one could actually see the chocolate goodness settling at the bottom. One quick shake is all it took to wake up the refreshing, chocolatey goodness that ‘s perfect for snacks or meal times. A companion dairy milk-based beverage, MILK-O-VIM, was also produced, a sort of a sweet malted milk drink, packed in a similar bottle, but this variant did not catch on. 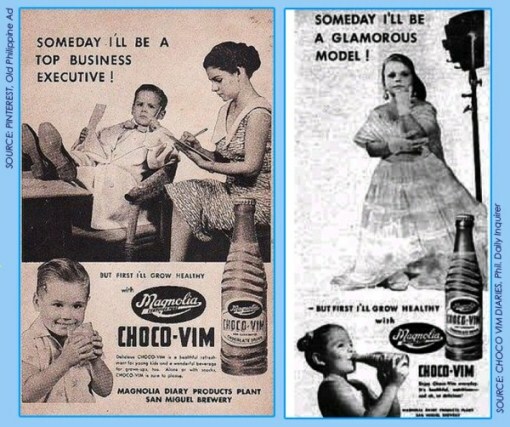 CHOCO-VIM came out with a smattering of black and white print ads in the late 50s and 60s, and enjoyed a decade of success. 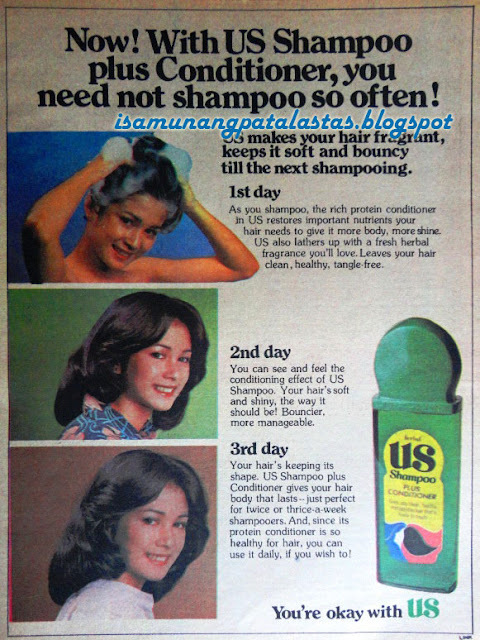 The ads appeared in top weekly magazines like Women’s, Graphic, Philippines Free Press and other dailies. However, new strides in milk technology caused the phase-out of the bottled product in the late 1960s. Beginning in 1969, CHOCO-VILM was replaced by Magnolia CHOCOLAIT, an all-new high-grade chocolate milk drink in new glass bottles. 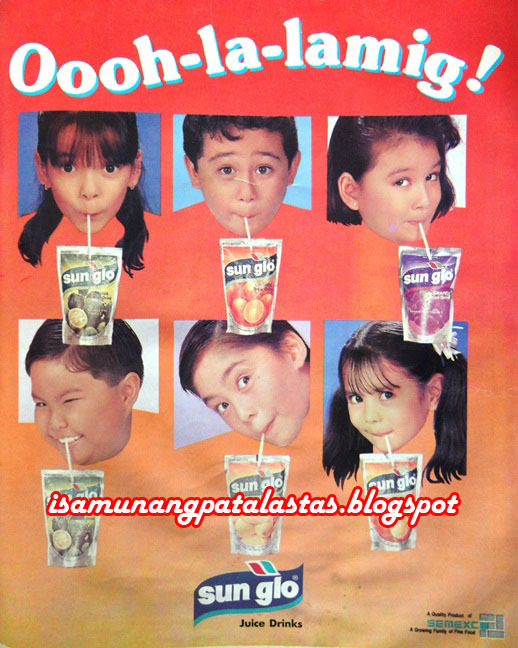 Eventually, bottles were eased out in favor of new packaging innovations including aseptic cartons, tetra bricks, and doy packs that caused the introduction of other chocolate milk brands like Daisy, Milo, Selecta Moo and Chuckie. But CHOCO-VIM will always be looked at with much fondness, for having started our love affair with the first ready-to-drink chocolate goodness in a bottle! The very popular shoes with a reputation for long-lasting durability and excellent craftsmanship were firs made in 1937, by couple Julio Gregorio and Francisca Garcia. Gregorio, a native of Marikina—the country’s shoe center—gave his name to his creation—GREGG Shoes---that would find a niche in the large school shoes market. He had started with American Hike Shoe Factory, making patterns for the American-owned shoe line, founded by United States Shoe Co. owner, R.A. McGrath, a former soldier. At the same time, he was also a teacher. The factory would be razed to the ground during the War in 1941, but Gregorio had the sense to buy the shoe-making machines from McGrath’s widow ( McGrath died at age 68 on 25 March 1935) through a bank loan, and keep them safe in hiding, until the hostilities ended. By then, the Gregorios had moved to San Juan, where he located his home, his main shoe store and factory. He began making his GREGG Shoes and gained enough patronage to warrant the setting up of shops along Mabini St., and in Baguio City. A small shoe store owner by the name of Henry Sy once approached him to ask if he could supply his fledgling shops with his well-known GREGG Shoes. The gracious Gregorio gave him Sy full support and began supplying his shop that would become the country’s giant SM retail chain. 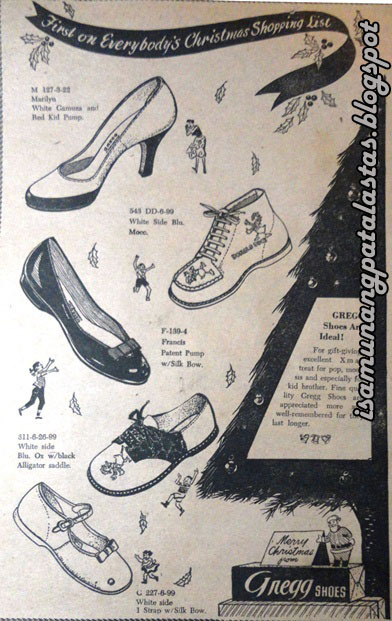 GREGG Shoes made shoes for everyone, of all ages—including ladies’ shoes, but these have since been discontinued in 1993. But it still the school shoes that comes top-of- mind when the GREGG brand name is mentioned. 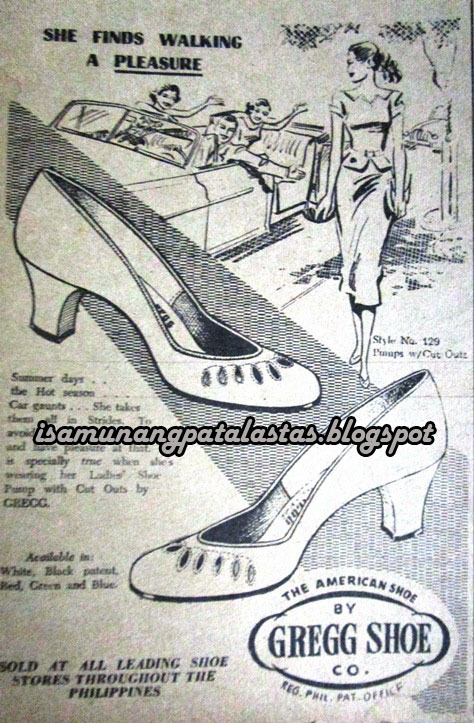 From the 50s through the 70s, GREGG Shoes shod the feet of hundreds of thousands of Filipino schoolers. The shoe business still flourishes today, thanks to two of Gregorio’s granddaughters, Christine Golez and Lilia Almario, who have taken the shoemaking mantle of their lolo Julio. Saved for the N. Domingo store, all the GREGG Shoes outlets have closed shops. The SM Department Stores still carry the line, in gratitude for the founder whose act of kindness propelled the once-humble Shoemart store to great heights never before imagined. Thanks to Isidra Reyes for her Gregg Shoes FB article. 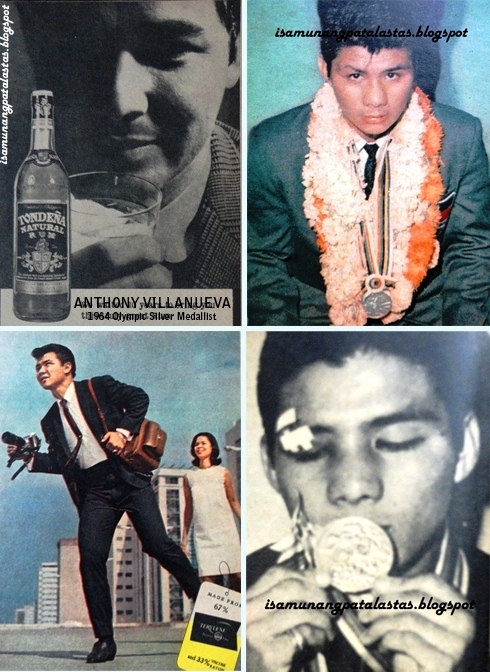 The 19 year old boxer who became a household name in 1964 with his triumph at the Tokyo Olympics was born Anthony N. Villanueva (b. 18 March 1945) to an Olympian father, Cely Villanueva, a bronze medallist at the 1932 Los Angeles Olympics. His pugilist father influenced his interest in boxing, so much so that at an early age, he became an accomplished athlete. 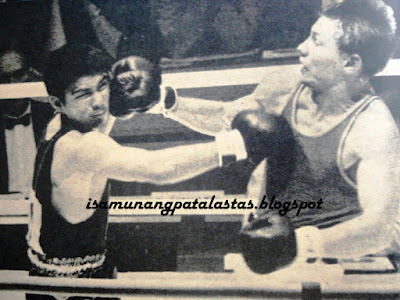 Boxing aficionado and businessman Eugenio Puyat saw his potential and supported him, such that by 1962, at age 17, the FEU teen became a national boxing titlist. This qualified him to the 1964 Tokyo Olympics where he competed in the Featherweight Division, where he defeated boxers from Italy, Tunisia, Poland and the U.S. before facing the Russian Stanislav Stepashkin in the finals. In the controversial Gold medal match, Villanueva lost 3 to 2. Nevertheless, Villanueva came home to a hero’s welcome—the highest-placed athlete in Philippine Olympic history. 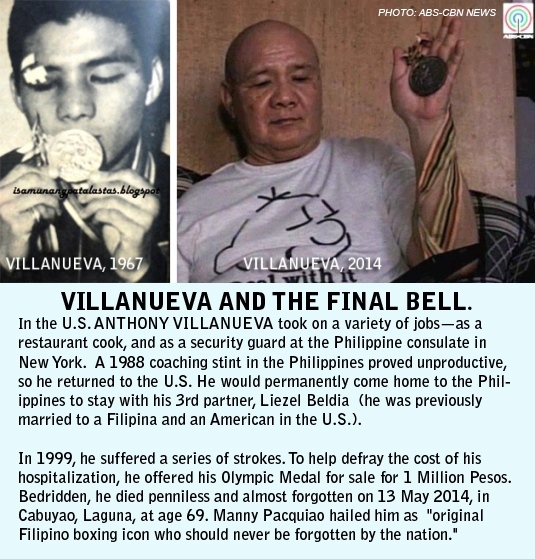 Showbiz beckoned, and Villanueva starred in at least 5 action movies, including the boxing-inspired “Malakas, Kaliwa't Kanan” with Nida Blanca and the bio-flick, “The Pancho Villa Story”. VILLANUEVA AND STEPASHKIN in the controversial finals. As he lost his amateur status due to his lucrative acting career, Villanueva turned professional in 1965, debuting in a fund-raising event called “Fiesta Fistiana” at the Araneta Coliseum, matched against the Japanese, Shigeo Nirasawa. He would hang his boxing gloves after only 5 bouts. Capitalizing on his Olympic fame, advertisers sought out the acclaimed boxer, who signed up with two clients. For La Tondeña, Villanueva did an ad for TONDEÑA NATURAL RUM in 1966. The B&W print ad featured a close-up photo of the boxer, holding a glass of “smooth as velvet” TONDEÑA RUM. Villanueva also appeared in a TERYLENE ad that was part of a campaign series. TERYLENE, a fabric perfect for suits, was a revolutionary clothing material made of a combination of viscose rayon and terylene. The thematic ad series featured active men in heroic James Bond roles, coming to damsel in distress, unmasking enemies, delivering karate chops—that tests the fabric for durability, comfort and strength. 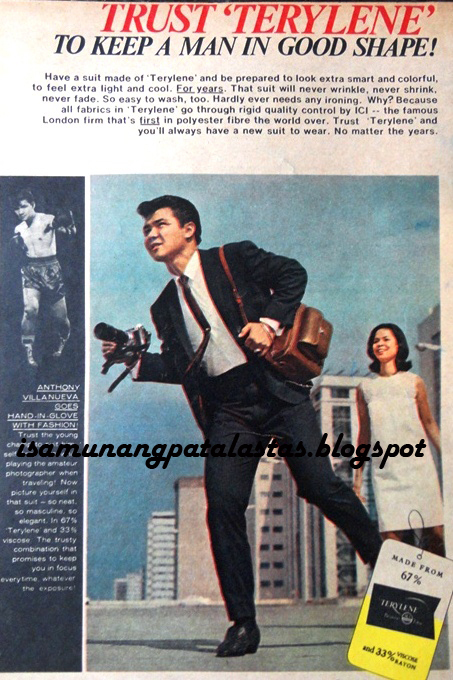 Villanueva’s version shows him as a travelling photographer, smartly dressed in a suit—“so neat, so masculine, so elegant”-- flitting to and fro to his shooting assignments. 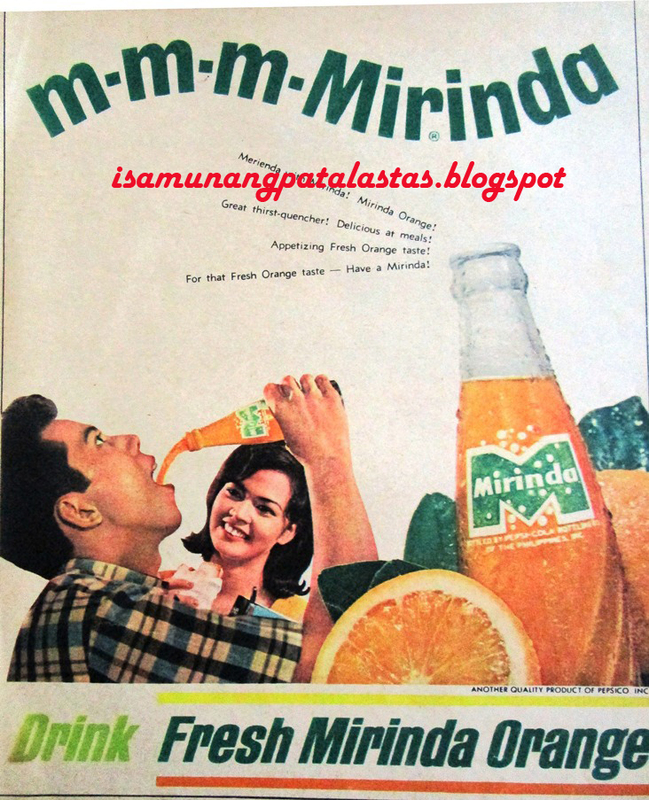 When his boxing and acting days were over, Villanueva became a boxing coach, until 1976, when he decided to go find his future in the U.S.
Pepsi Cola’s fruit-flavored soda—MIRINDA—was launched in the mid 1960s in the Philippines and soon became a major player in the local softdrink market. Originally produced in Spain in 1959, MIRINDA came in distinctive swirl bottles with a a bubbly green “M” emblazoned in front. The name MIRINDA was said to have been derived from the pidgin language, Esperanto, which means, “wonderful”. 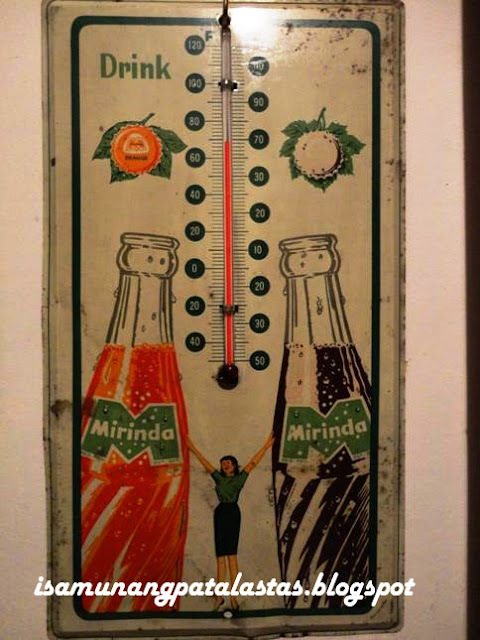 MIRINDA orange was the first flavor introduced, aimed at Royal Tru-Orange, then the market leader in the category. There were also cheaper price brands of orange sodas like Avenue and Ideal, but nothing beats the fizz and fruiter, orangier flavors of MIRINDA and Royal. 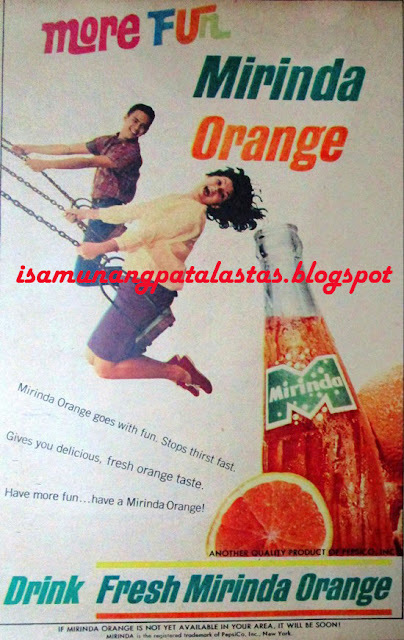 Supported fully with the massive marketing resources of Pepsico, MIRINDA made waves as it was positioned as a fun-flavored, thirst-quenching drink for teens and young adults. The product was pushed full-color lifestyle ad series, that captured the interest of the ‘60s Now Generation. Though available in limited areas, MIRINDA was soon giving a Royal Tru-Orange a run for its money. 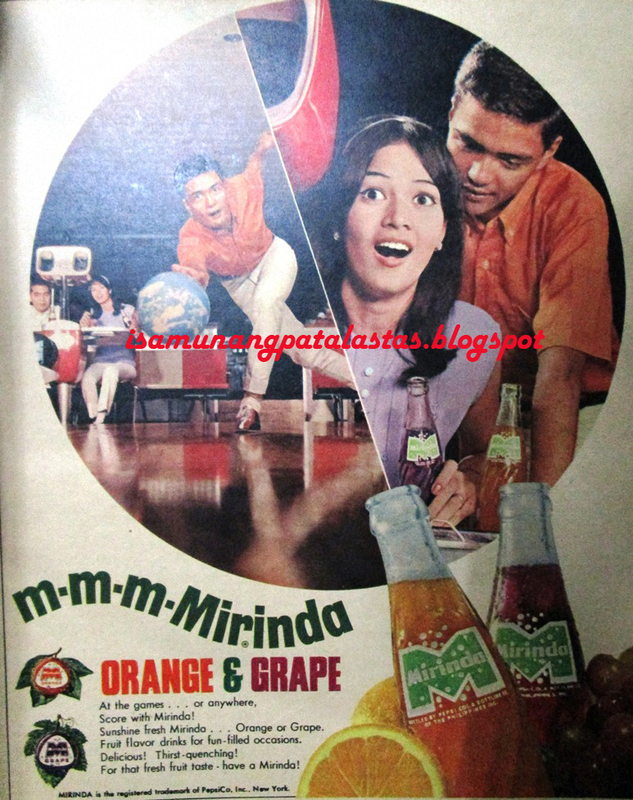 The “More Fun” campaign lasted from 1966-61, and was replaced by “M-M-M-Mirinda” with the introduction of a short-lived flavor variant, MIRINDA Grape. This campaign ran until 1968. 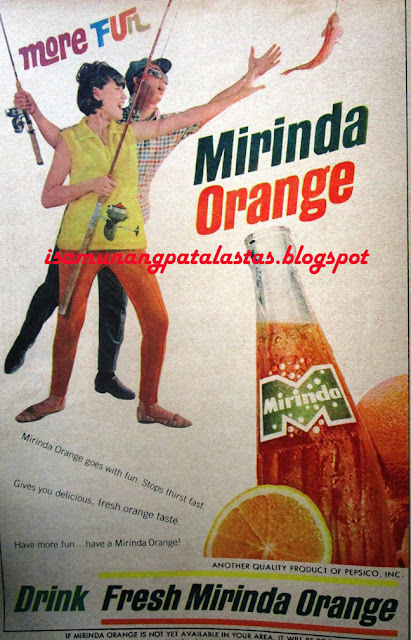 MIRINDA TV advertising in the late 1960ss included the U.S. produced “Orange Avalanche” campaign that was used and aired in the Philippines. In 1976, a head-on collision with market leader Royal Tru-Orange became national news when MIRINDA dared come out with an ad that claimed that nearly half of Royal Tru-Orange drinkers preferred the taste of MIRINDA in a blind taste test. In a time when comparative advertising wasn’t allowed (the mere mention of a competitor’s name in an ad was subject to strict regulation), MIRINDA’s move was considered unethical, and the claim insufficiently backed. 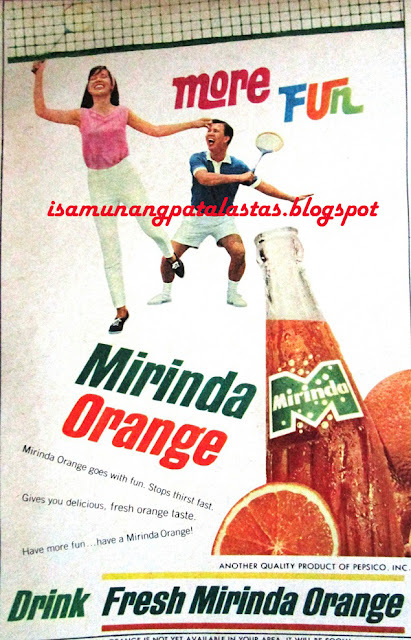 The MIRINDA ad was banned, but Pepsico retaliated with a nationwide taste challenge to determine which tasted better— “Let your taste decide!”, was MIRINDA’s battlecry. 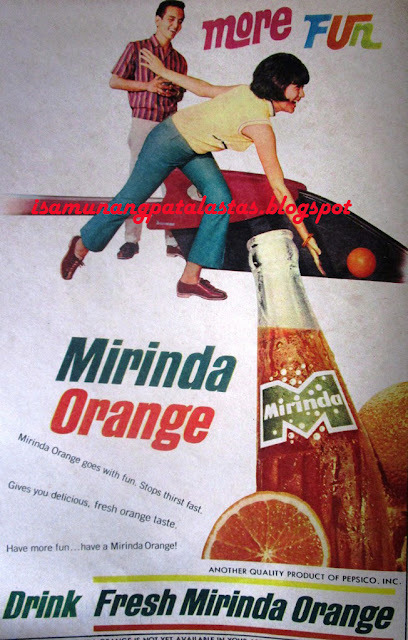 MIRINDA now represents the majority of Mirinda sales worldwide following a major repositioning of the brand towards that flavor in the early 1990s. It is still being sold in the Philippines in PET bottles and cans, though not as briskly as before with the advent of similar juice drinks, twisters, flavored tea and powdered orange drinks. Recently, a MIRINDA Fun Mix powder drink was introduced in 2018. 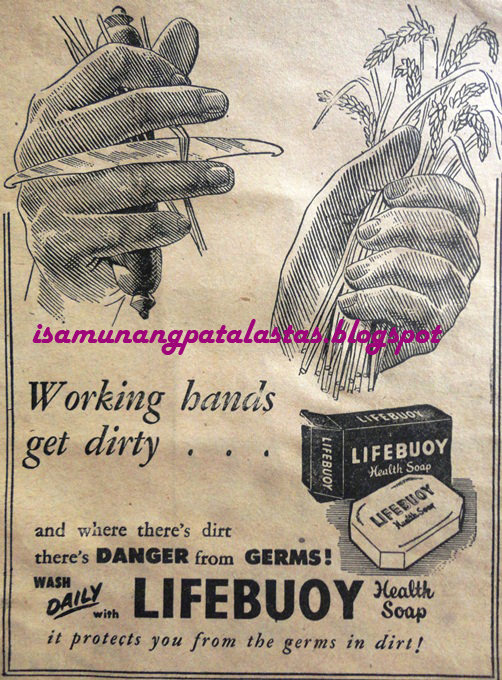 EARLY 1936 PHILIPPINE AD, LIFEBUOY HEALTH SOAP & SHAVING CREAM. LIFEBUOY Health Soap has a long history in the Philippines, available here in the Philippines since the Commonwealth years. Originally introduced by the Lever Bros. in England in 1895, it made a splash in America, becoming one of the country’s most popular soaps from 1923 to the 1950s. 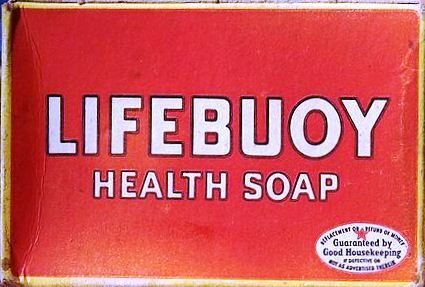 The first LIFEBUOY Soaps in the country were imported from the U.S. by Smith, Bell & Co.Ltd. in the 1930s. The soaps—which were phenol-based carbolic soaps—were advertised on a “health” platform as the mediciney-smelling soap had germ-fighting qualities. The Philippine Refining Company (PRC, founded 1916, incorporated 1927) became the manufacturers and marketers of Lever Brothers products when the company ventured into bath and beauty soaps. The first soap product introduced was LUX in 1950. 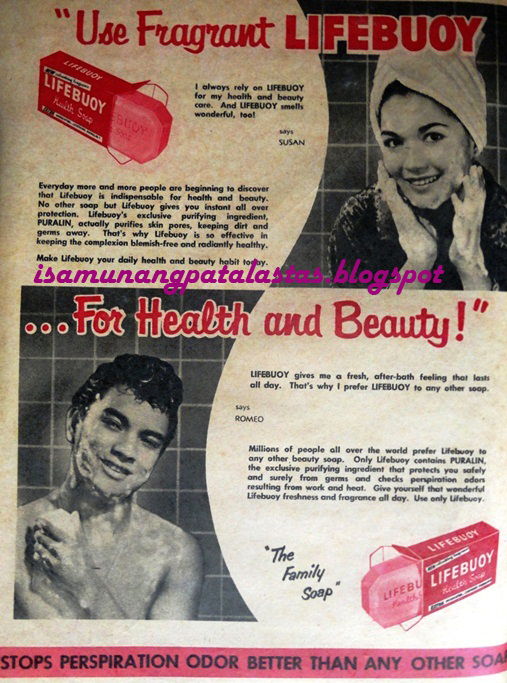 By 1951, LIFEBUOY was the best selling health soap in North America , prompting PRC to launch the soap here that same year. The first illustrated, locally-made ads came out in 1953, touting the germicidal properties of the soap. The octagonal shaped LIFEBUOY came in red and yellow packaging. Sometime in 1951 or 1952, Lever Bros. experimented with adding perfumes to the soap, and made the changes permanent in 1954. Thus LIFEBUOY was repositioned as both a health and beauty soap. It is credited for popularizing the term “B.O.”for ‘body odor’ in it advertising. 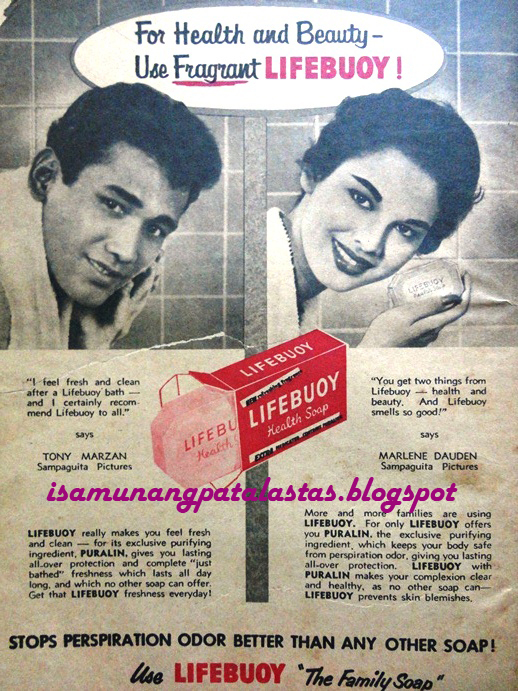 Advertisements from 1955, featured the coral-colored LIFEBUOY Soap endorsed by local showbiz love teams as a family soap. The ads made mentioned of LIFEBUOY’s exclusive purifying ingredient—Puralin—which keeps body safe from sweat and perspiration. The same ingredient also clears skin of blemishes. The first romantic pair featured were Marlene Dauden and Tony Marzan. 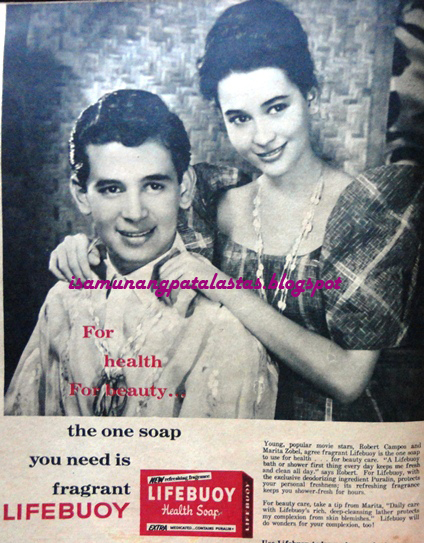 The use of the country's leading love teams turned out to be very successful, as beauty soaps made use of the same celebrity formula for their ads. 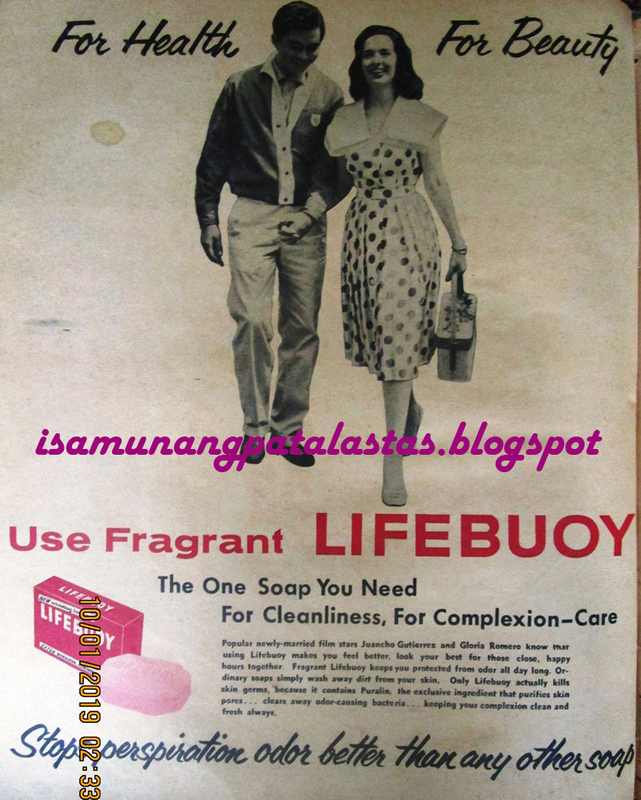 The no #1 tandem of Nida Blanca and Nestor de Villa, joined the LIFEBUOY bandwagon in 1957. Other leading love teams of the country who pushed the product in the 50s decades included Amalia Fuentes and Juancho Gutierrez, Shirley Moreno and Zaldy Zshornack, Maruta Zobel and Robert Campos, and Lita Gutierrez and Willie Sotelo. 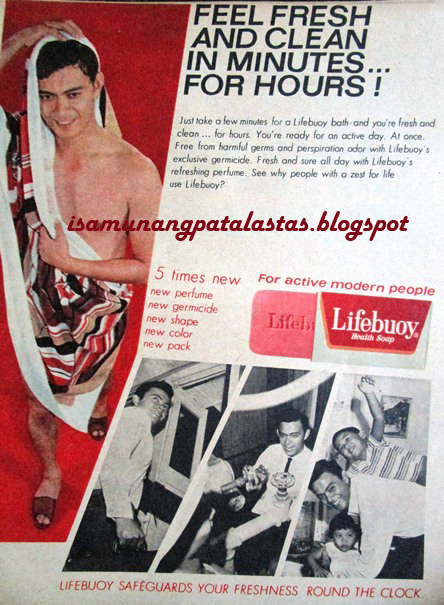 LIFEBUOY surged in popularity in late 1960s through the early 1970s, with the introduction of LIFEBUOY White. 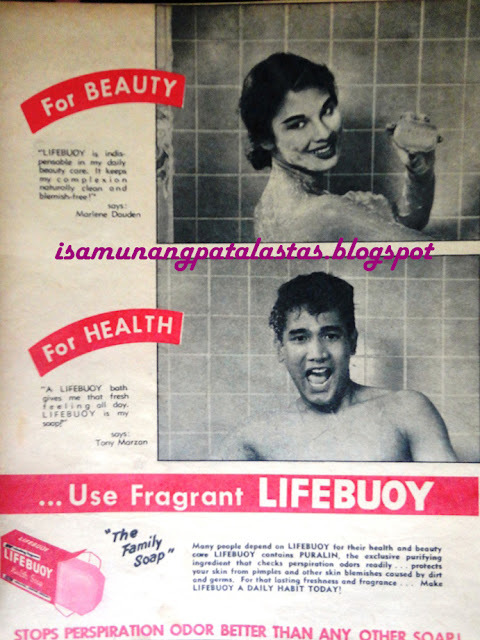 GLORIA ROMERO & JUANCHO GUTIERREZ, FOR LIFEBUOY SOAP, 1961. 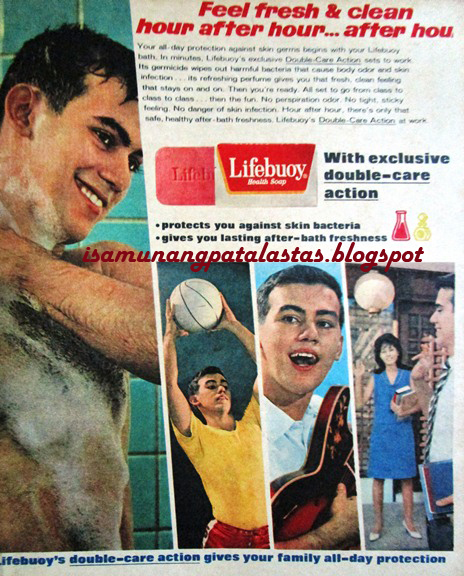 By 1966, LIFEBUOY began modernizing its look, and upgrading its formulation, with its Double Care Action, which protects against skin bacteria, and which gives a longer-lasting feeling of after-bath freshness. This was at a critical time when Procter & Gamble decided to launch its bacterial skin soap, Safeguard, internationally, beginning with the Philippines. 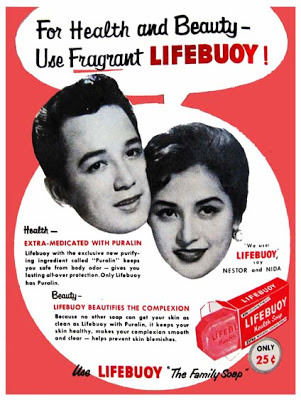 LIFEBUOY's original anti-bacteria platform had been diluted through the years with added promises of complexion care due to the proliferation of beauty soaps. 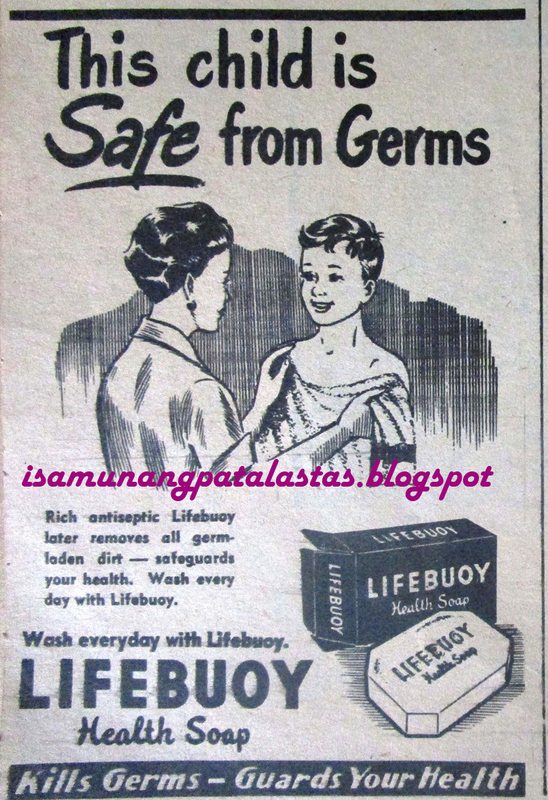 This proved to be LIFEBUOY's undoing, as Safeguard would latch on to this single-minded "germ protection', and built it with credentials from medical authorities. By the new 70s decade, SAFEGUARD had a stronghold on the bacterial soap market. 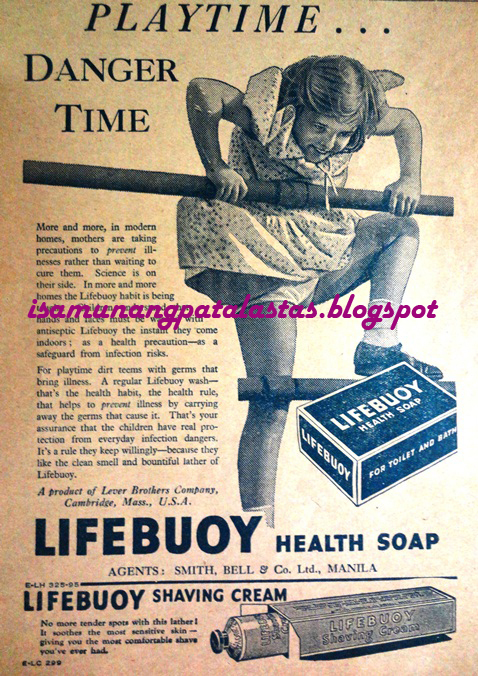 LIFEBUOY advertising continued till the early 2000s, until the product itself was totally phased out from the U.S. market in 2006, though it still is produced in some parts of the world, including India—for the Asian market.